Here, There and Everywhere: Art! We voted for the 50 artworks we wanted to see across America! Now our selections will be seen by millions of people every day throughout the month of August "when we are commuting to work, taking the kids to school, hailing a taxi, shopping in a mall, catching a bus or pursuing other routine activities." I am fortunate that many selections are within a thirty minute drive, including one in my hometown (within walking distance)! 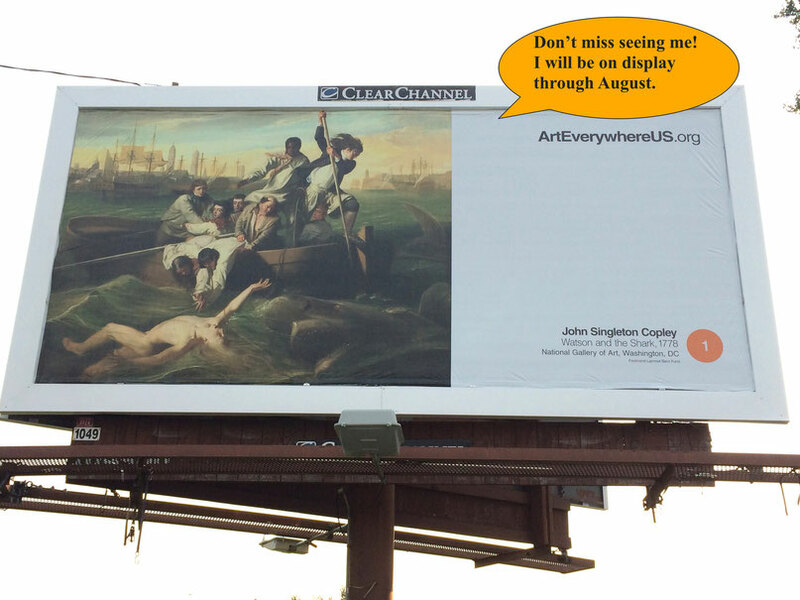 Please don't take our John Singleton Copley away! For a map of the locations, click here. For more information about this public celebration of great American art, click here.